I grew up eating gooseberry fool and when a child, thought my mom had made up the name ‘cause it would fool me into thinking it was ice cream. But, I later learned that it is the olde English name for a fruit dessert – classically gooseberry – that combined mashed fresh fruit with a custard sauce. My mom just used whipped cream and fruit and I now use a combination of whipped cream and yogurt rather than the richer custard. We have had such beautiful berries this summer that I’ve tried to use them in lots of different ways although they have all been sweet and delicious on their own. 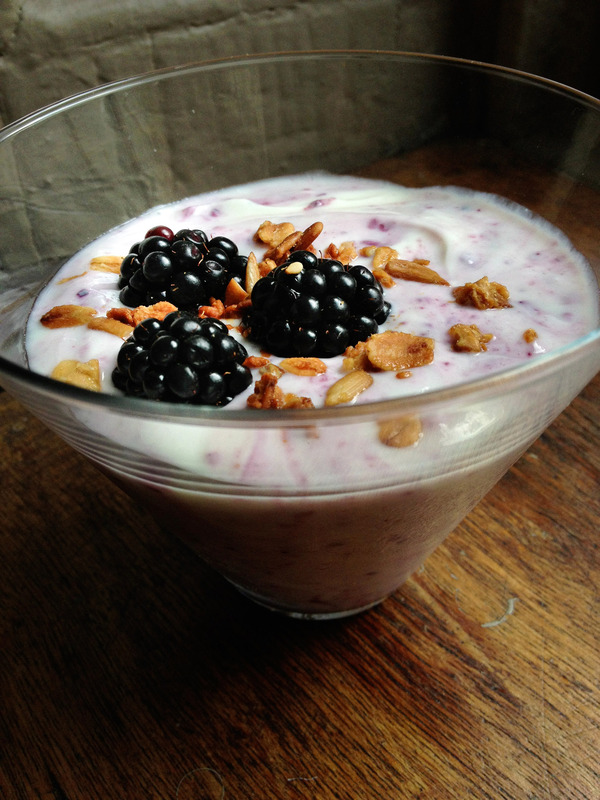 Last night I took the last of the blackberries, mashed them with a bit of sugar and then folded them into vanilla nonfat yogurt. A perfect summer dessert.